Runners complete the final mile of the relay run from Barstow to Fort Irwin as a group. The group ran the 32 mile course in just over 5 hours. 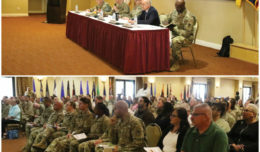 To Fort Irwin Directorate of Emergency Services held a week of events to celebrate the 75th Anniversary of the Military Police Corps Regiment. 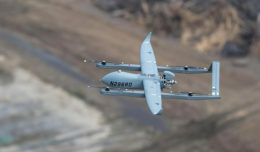 The week began with a golf outing at the Marine Corps Logistics Base on Monday and concluded on Friday with a barbeque lunch at Fort Irwin. 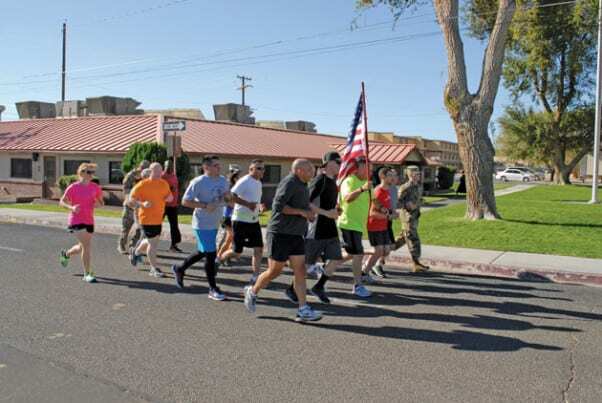 A highlight of the week was the Thursday relay run along Fort Irwin Road. 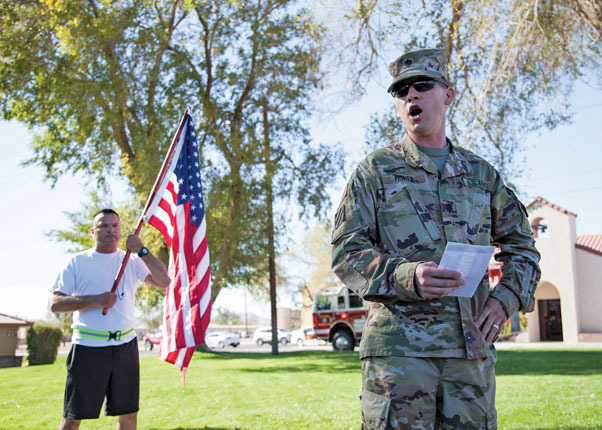 First responders were joined by Soldiers, civilians, family members, veterans and retirees from Fort Irwin, Barstow and surrounding communities for the run. 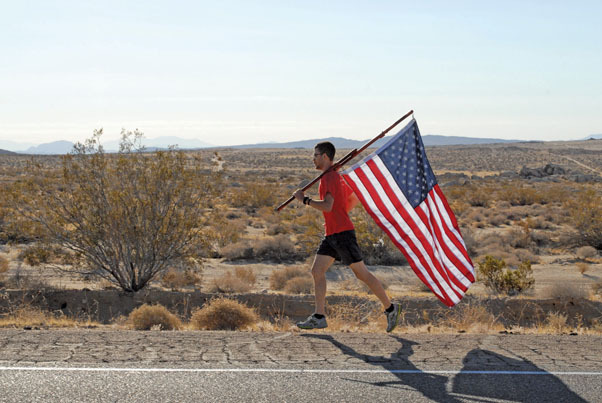 The runners trekked from Interstate 15 to the Garrison Headquarters carrying an American Flag, passing the flag to the next runner every mile. It took just over 5 hours to complete the 32 mile run. 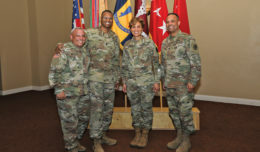 After the run, DES commander, Lt. Col. Bradford Fisher congratulated those who participated in the run. 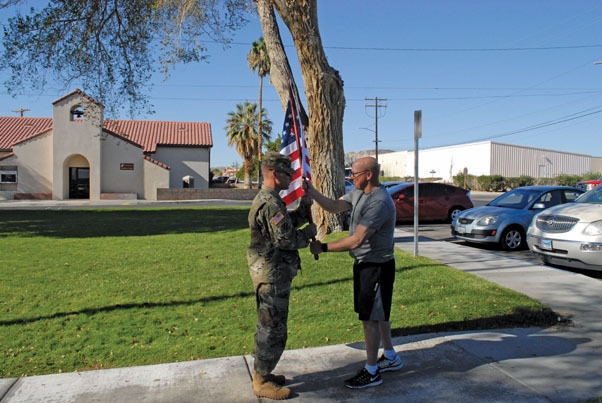 Later in the afternoon, the DES command team and personnel presented the flag to the Barstow Veterans Home. Directorate of Emergency Services Commander, Lt. Col. Bradford Fisher speaks to the runners after completion of the DES relay run. 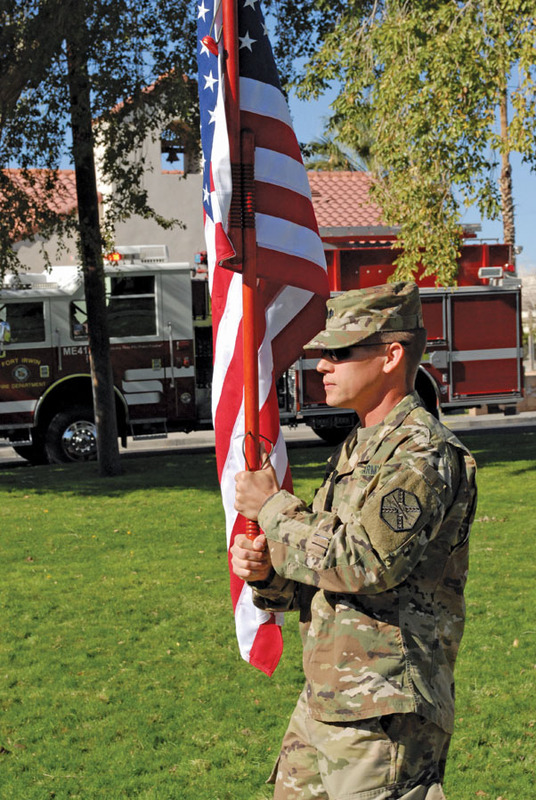 Lt. Col. Bradford Fisher carries the American flag into the garrison headquarters building following the DES relay run from Barstow to Fort Irwin. 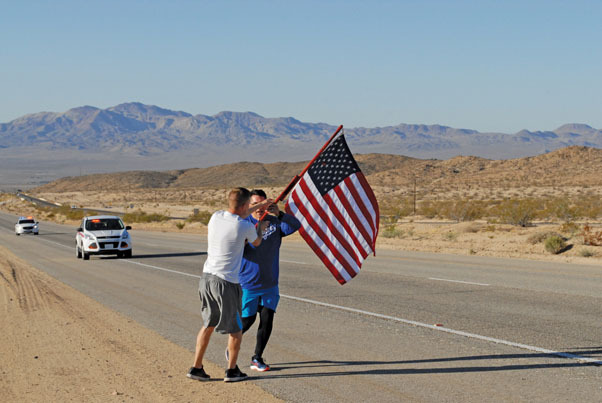 Sgt Major Randy Cheadle passes the American flag to Lt.Col Bradford Fisher at the completion of the Barstow to Fort Irwin relay run. 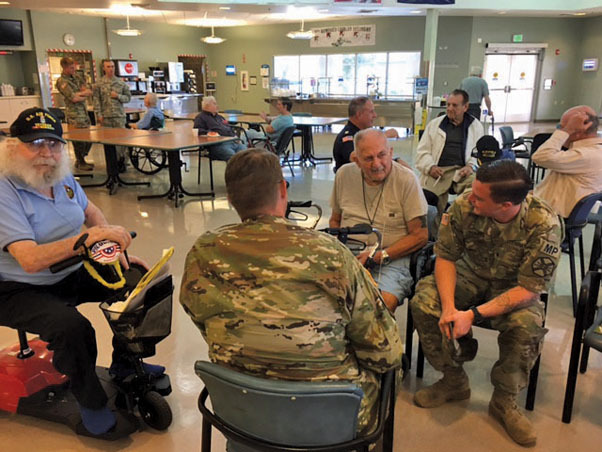 Soldiers from the Directorate of Emergency Services visit with veterans at the Barstow Veterans home.